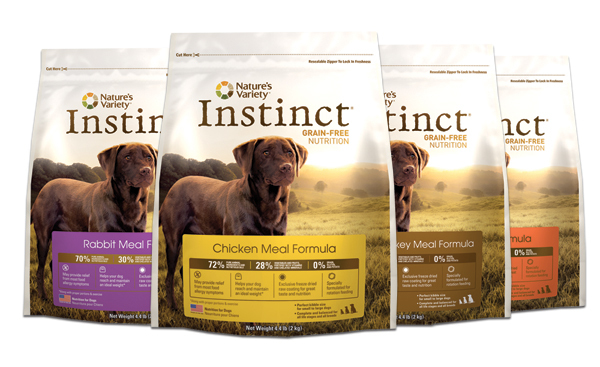 The $3 coupon for Instinct dry food continues, PLUS add an additional $5 off medium and large size bags. 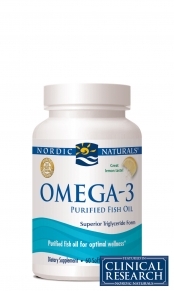 $3 off coupons for any Nordic Natural Omega-3 product. There are still pillow beds marked down 40% off. Check out our brochure racks. There are informational brochures about various products, business cards for various services, dollar-off coupons, and frequent buyer cards. Turn left when you walk in the front door and look at the wall next to the side door. 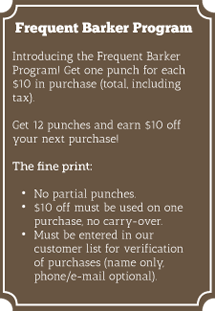 We honor manufacturer frequent buyer cards! 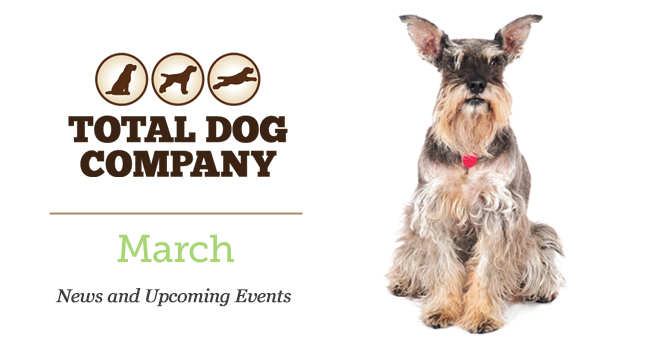 Stop by and ask us for more information. Sherpa carriers for small dogs—airline approved.